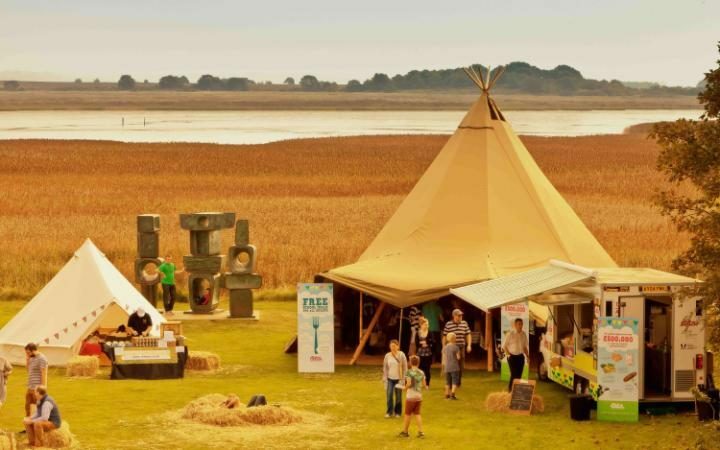 Now in its 11th edition, the Aldeburgh Food and Drink Festival is one of the UK’s most raved about food events and takes place at the charming Snape Maltings arts and retail complex on the banks of the River Alde. 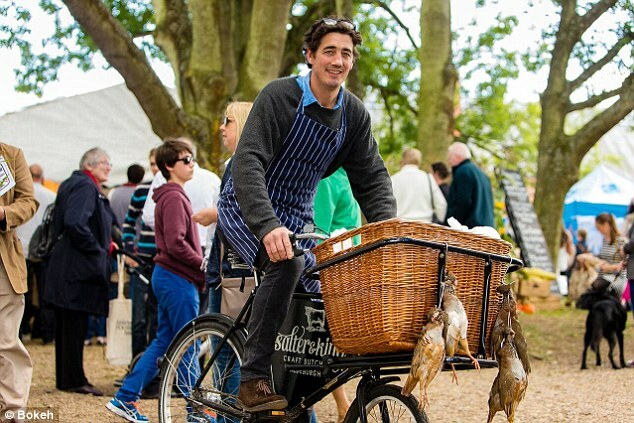 The focus is hyper-local, paying homage to Suffolk’s flourishing food and drink scene with over 100 stalls selling local products and eats, including taste wares from the likes of the popular Pump Street Bakery and Newlands Cheese Straws. There are also two cookery demo stages featuring a host of local and visiting chefs, followed by two weeks of fringe festivities like farm walks, workshops and meet-the-producer events. Festival season will soon be upon us. But if the words “festival food” conjure up images of undercooked burgers and dodgy noodles while hiding from the rain at Glastonbury or queuing for lavatories at Reading, you could be in for a surprise. The past five years have seen an explosion in popularity of dedicated food festivals, with events celebrating US-style barbecue, veganism and street food joining established festivals like Abergavenny, Aldeburgh and Ludlow on the foodie calendar. Aldeburgh, held in Suffolk in September, is now in its 11th year, having hit on a winning formula of producer stalls, appearances from credible chefs (José Pizarro, Olia Hercules and Thomasina Miers were three of last year’s names), and masterclasses in everything from Middle Eastern baking to wild-food foraging. One of the UK’s best-loved food festivals, Aldeburgh is now in its 11th year. It’s held at pretty Snape Maltings on the banks of the River Alde, a few miles inland from the Suffolk coast. A thoughtfully curated line-up of producers, food writers and chefs (recent years have included Telegraph columnist Diana Henry, Sabrina Ghayour and Anna Hansen) makes this the perfect festival for curious home cooks: Aldeburgh is more about learning how to perfect your sourdough than getting an autograph from Gordon. On Wednesday27th January the sixth VAULT Festival will open its doors - eight spaces within one venue, three bars and a very special pop-up restaurant fill the labyrinthine vaults beneath London’s Waterloo Station. Vault Festival and the Suffolk Young Producers, created by the Aldeburgh Food & Drink Festival, welcome festival visitors to their pop-up restaurant, The Suffolk Punch bringing the very best of East Anglian food and drink to subterranean London. Most of The Suffolk Punch menu ingredients are provided by the Suffolk Young Producers, a group of award-winning artisan food entrepreneurs who have created a country pub-style venue in the middle of a cutting edge arts festival. David Wright from the award-winning Cake Shop Bakery in Woodbridge leads the team with the support of the other Suffolk Young Producers - Alder Carr ices, Diaper Poultry, The Plough & Sail, Fen Farm Dairy, Henrietta Inman, Kenton Hall, Lane Farm, Marriages the Millers, Marybelle Dairy, Newbourne Farm, Pump Street Bakery and Suffolk stalwarts Adnams of Southwold and Aspall Cyder, together with some other well-known Suffolk food businesses. Since its inception in 2012 VAULT has hosted over 250 productions, from outrageous comedy acts to hard-hitting political theatre and experimental new work from Britain’s most exciting emerging artists. 2016 promises to deliver another feast for the body, soul and mind with an international array of performances exploring themes such as gender, mental health, conflict and much more. Details of the 150+ events taking place are outlined in the VAULT Festival 2016 programme that can be viewed here. New for 2016 will be the first VAULT Film Festival taking place each Sunday in February. Both long and short form screenings spanning drama, documentary, animation and more will feature. Additionally some pieces will appear courtesy of a partnership with Paris’ ECU Film Festival. Head to VAULTFestival.com for full listings, show info, timings and tickets, alternatively a full festival programme can be accessed here. Wednesday - Friday 6pm - 10pm and Saturday and Sunday 11am - 10pm. Sunday is Pizza Day and only the pizza menu will be available, all pizzas are 2 for 1 between 3pm and 6pm.